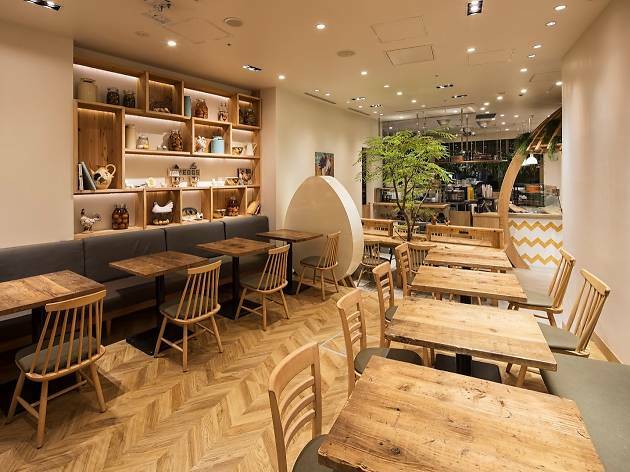 Gone are the days you couldn't find a decent breakfast spot in Tokyo. 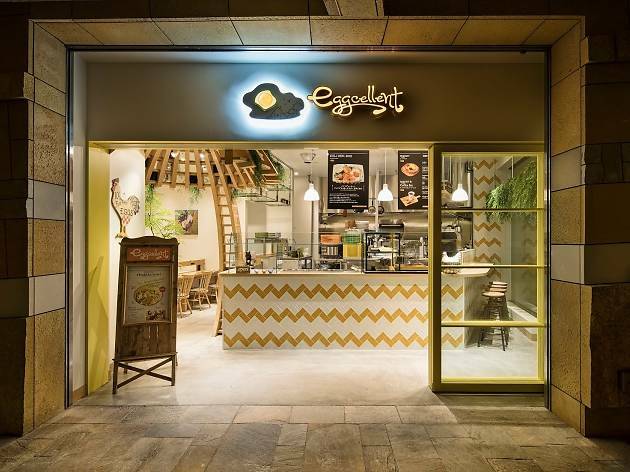 Eggcellent opens at 7am (8am on weekends) and has been satisfying early birds with a range of Eggs Benedict (made with organic eggs) since November 2013 and its subsequent move to Roppongi Hills proper in early 2018. Prices have risen since as well, but quality remains high. 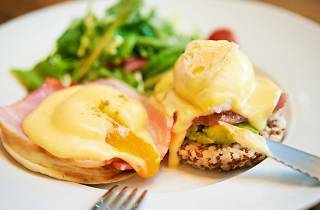 Go for the Original Benedict if you're a purist, or switch things up with the AM Eggcellent Benedict (aka the Half & Half) which comes with avocado, raw tuna and quinoa rice instead of an English muffin. If your sweet tooth is an early riser too, head straight for the pancakes served with peanut cream, whipped butter, jam or maple syrup or the ones topped with coconut sauce, macadamia nuts and roasted coconut flakes. Mouth watering yet? 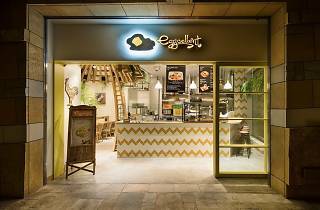 Unlike its predecessor, the current incarnation of Eggcellent is a bit less bright and airy, but the wooden interior with its eggy references remains. 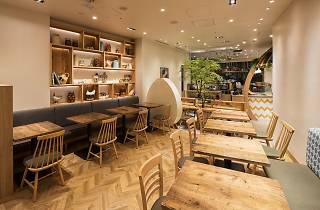 The tables are arranged so that you can either take up a table for two or four, or nab a spot at the communal tables or bar, which features a row of seats perfect for solo brunchers. 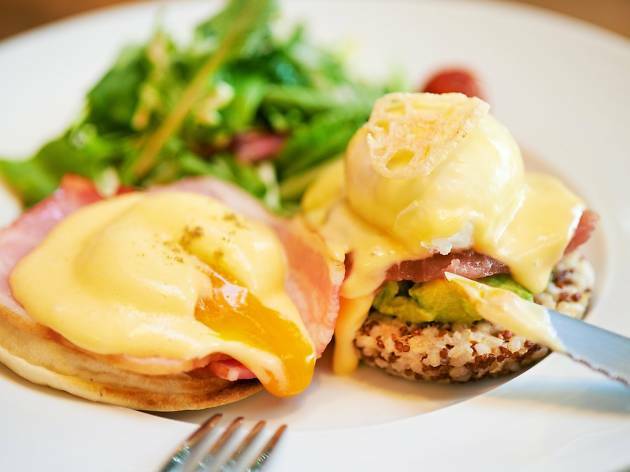 Unfortunately, the old terrace seating seems to have (partially) retired, but you're still in for an all-round delicious breakfast eggsperience (sorry, we couldn't resist).